Or start planning your summer 2019 adventure. In an effort to ensure that our small team of family and crew members are able to provide absolutely unique and genuine experiences for each guest from the first of the season to the last, we offer limited availability, focusing on quality over quantity. Our priority is making sure each guest receives above and beyond service, quality and experience. 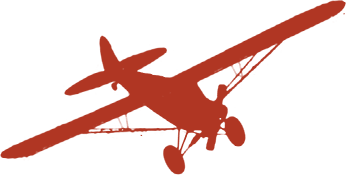 4 nights at the lodge and 4 days of unique airplane supported adventures and flight safaris. DETAILS: Guests are met by airplane at the McCarthy airstrip at 4:00pm on Sunday and taken directly to Ultima Thule Lodge. Monday, Tuesday and Wednesday are full adventure days. On Thursday guests will depart the lodge in the morning, spend ¾ of the day on a final adventure, with lunch in the field and arrive back in McCarthy by 3:30pm. DETAILS: This package adds Thursday Night to the Classic Package. Guests enjoy additional adventure time on Thursday afternoon, another overnight in their lodge cabin, Thursday night dinner and breakfast on Friday. Departure from the lodge back to McCarthy will be at 10:00am on Friday. EXCLUSIVE USE PACKAGE - 3 Nights, Thursday – Sunday weekly. Ideal for family gatherings and small events or guests who enjoy privacy and an intimate setting. Available for the exclusive use of 1 to 12 guests. Enjoy the all the benefits of the Classic Package tailored just to your group with private use of all lodge accommodations and facilities. Guests with be picked up in McCarthy at 4:00 pm on Thursday. Departure from the lodge back to McCarthy will be at 10:00am on Sunday. 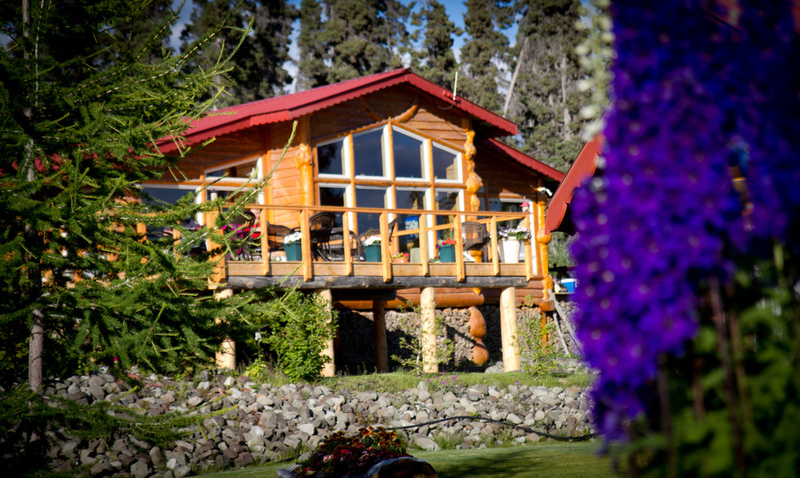 Ultima Thule Lodge offers an intimate and personalized setting for small corporate retreats, family gatherings, intimate weddings and elopements, honeymoons, anniversaries and other special events. We can customize every detail to suit your needs and our facilities can accommodate media presentations, private meetings and social gatherings. Craftsman Deluxe cabin(s) depending on group size. Each with 24 hour electricity, en-suite bathroom with hot running water. Each group traveling together will have private adventure options and guides each day. Tailor made unique adventures each day. Not included: Personal expenses and purchases, gratuities (usually 8-10%), any charter flights, fishing licenses (available at the lodge), additional alcohol, special requests/add-ons, and transfer from any location outside of McCarthy, Alaska. *Special Dietary Add-On: Our kitchen prepares set meals each day, family style. We offer a set menu which accommodates vegetarian options and serious medical allergies only. Due to the structure of our stock on hand and meal execution we are able to provide further meal customization requests at a package rate of $400-$850 (depending on type of request), per person for the duration of the visit. - Please advise at the time of booking if you have requests for Gluten Free, Vegan, Kosher, Non-Dairy, Special Diets or any type of custom meal package. Advance notice is mandatory. Children aged 6 years and older are welcome to accompany their families; however, we are not able to offer discounted rates because each passenger will require their own seat in the aircraft. PLEASE NOTE: Parents are responsible for their children and must ensure they follow guide or lodge personnel instructions at all times. Child care is not available at the lodge or during guided activities. 50% deposit is due at the time of booking to confirm the reservation. The balance is due 120 days in advance of arrival. Availability is not guaranteed until deposit is received. Payments must be received within 10 days of invoice issued. Reservations and payments may be forfeit if not received on time. All payments are strictly non-refundable. Due to our short season of operation and the advance overhead costs of remote operations we have a clear NO REFUND POLICY on deposits or full payment for any reason. We strongly recommend trip insurance. Please protect your investment and shop around for the policy that best suits your needs. We are not responsible for any delays or cancellations due to weather, circumstances beyond our control or any unforeseen changes or alterations to a reservation. Dates can be changed during the same operational year without penalty, based on our availability. Bookings may not be rolled over to the following year. Clients are required to inform us of any health problems, allergies and physical limitations ahead of time due to our extremely remote location. All guests must submit requested forms and information in advance of arrival. Special dietary requests and needs may require an additional meal package purchase and must be notified in writing in advance of arrival. All clients must sign a liability release waiver upon arrival at the lodge, a copy of which will be provide ahead of time for review. By requesting a reservation you agree to the terms and conditions set forth by Ultima Thule, Inc.